If the Marvel and Netflix partnership proves successful, there are many more characters from the former’s vast comic-book universe who would be a perfect fit for the versatility of the streaming TV platform. Of course, plans are already in the works for several shows after Daredevil (A.K.A. Jessica Jones, Luke Cage and Iron Fist as well as their eventual team-up as The Defenders) but that shouldn’t stop Marvel from developing other titles, whether one-shots or even a concurrent expanded universe. Many factors played a part in deciding what five Marvel superheroes might be a good fit for their own series at Netflix. For example, Elektra was in the mix but didn’t make the cut cause she’s likely going to be factored into future seasons of Daredevil. Others, like Kamala Khan’s Ms. Marvel (or Jessica Drew’s Spider-Woman), deserve their own big-budget release and a place in the MCU (or SMCU) proper. The tamer tales, like Squirrel Girl, don’t need the relaxed restrictions of the streaming ‘network’ and could do just fine on ABC. And then there are characters like Cable whose best arcs need existing film franchise superheroes for the cast, making a show all but impossible. 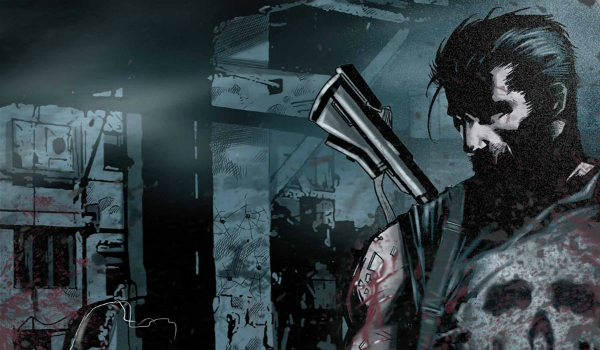 Without question, the obvious choice for the next Marvel character to get his or her own series is Frank Castle. Punisher is especially deserving of a quality adaptation after the terrible films starring Dolph Lundgren and Tom Jane, as well as the under-appreciated and, sadly, irrelevant one with Ray Stevenson. Steven DeKnight, Daredevil’s showrunner has already talked about his desire to see a hard-R version of The Punisher on Netflix and that sounds just perfect to me. Hell, I’d even settle for a ‘PG-15′ version similar to his ‘The Man Without Fear’ series. Too bad, Frank Grillo already plays a part in the MCU. I’d be pretty happy with Josh Holloway as Frank Castle. Who wouldn’t want to see a broken, bitter and caustic Holloway killing his way to revenge? I know I do. The landmark deal that brought Spider-Man back to Marvel (even if it’s just on loan and only temporary), possibly paved the way for many more deals, including collaborations on new Netflix projects. Even if the deal falls through, Sony can still work with the streaming service on an adaptation of Black Cat. 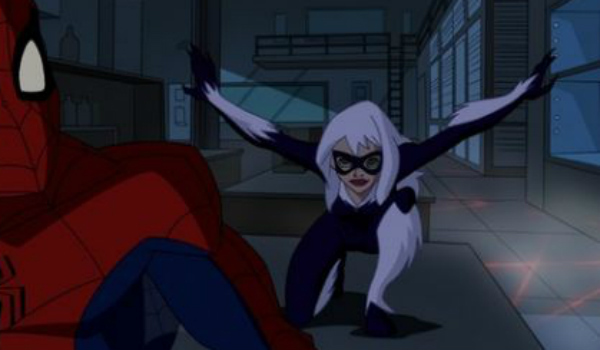 Felicia Hardy is the world’s best cat-burglar and I think a heist show about her criminal exploits would be a fun genre exercise and lends itself to TV’s mix of episodic and serialized storytelling. The tone of Steven Soderbergh’s Ocean’s Eleven would be just right, although I doubt he would be willing to work for the Marvel machine. As far as the right Felicia Hardy, how about Deadpool’s wife Blake Lively? Oh, and wouldn’t it be cool for Spider-Man to be relegated to being part of the backdrop? 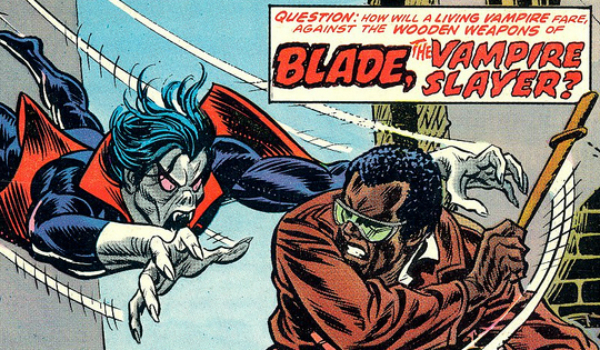 The Blade V Morbius concept wouldn’t just be Marvel biting its thumb at DC’s big versus title, the resulting series could be an exciting departure for the brand (supernatural and scary) and a great way to reboot the first character to find success in the recent comic-book film takeover. The series shouldn’t even have the leads meet until the end of the first season (maybe later) and instead spend the bulk of the episodes cross-cutting between their origins and early adventures while also putting them on a collision course. If he wasn’t going to be busy with Star Wars and the ensuing superstardom, I would suggest John Boyega for the new Blade. One can still hope. As for Dr. Michael Morbius, the living vampire? Well, an actor who can play smart and wouldn’t mind hiding behind makeup designed to make them look hideous. Jay Baruchel, perhaps? Those struck with pseudo-vampirism don’t have to be big to be threatening. That’s the beauty of supernatural powers. I might have to preface this one with a disclaimer: I am Canadian. 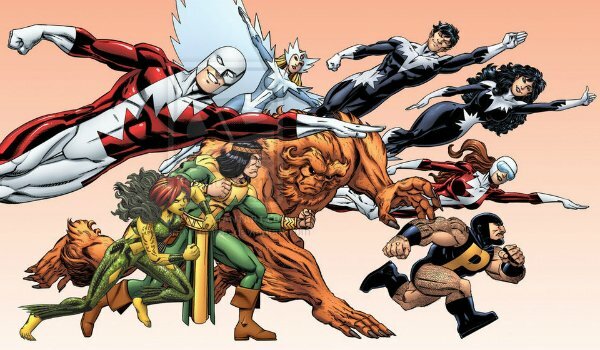 But let me assure you, glorifying Canada’s answer to The Avengers is not the reason why I think Alpha Flight would be perfect for a Netflix show. Alpha Flight could be Marvel’s first full-on comedy. I can’t be the only one who thinks “Canada’s answer to The Avengers” is inherently funny and a superhero sitcom is a sound premise, especially with such a stereotypical bunch of characters. It could be Netflix’s next Unbreakable Kimmy Schmidt. I’m not going to get into the fancasting for the entire team (Guardian, Marrina, Northstar, Aurora, Shaman, Puck, Sasquatch, Snowbird and Vindicator) but I would love to see Nick Kroll (and his comedian friends) involved since Kroll Show’s ’Wheels Ontario’ spoofs of Degrassi are incredible. I would also gladly take a version from actual Canadians Seth Rogen and Evan Goldberg. The idea of a TV show following the female clone of Wolverine during her days as an assassin for the Facility couldn’t sound more promising. Marvel should consider developing the series penance for not making a Black Widow movie. 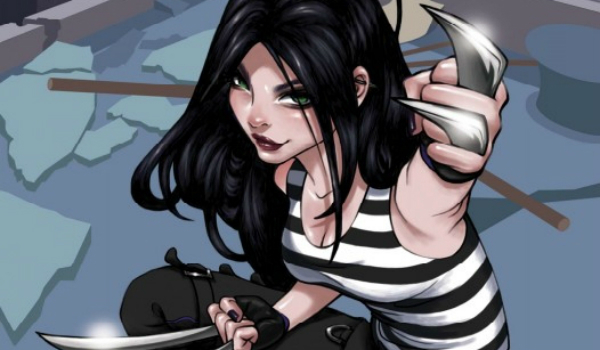 Being a fairly new comic-book character, X-23 is probably not as well known as the many other superheroes (or in this case anti-superheroes) vying for an adaptation, but her story would make for exciting television, especially if it wound up in the hands of a Joss Whedon-type. Another promising aspect is the potential for a small screen expanded universe for Marvel characters owned by Fox, as Laura eventually winds up at Xavier’s School for Gifted Youngsters. A mini-series set at the prep school for mutants could function as its own version of The Defenders with X-23 the first of several supporting X-Men characters to get series that then culminated in their attendance at the academy. Stories of the X-Men’s adventures would ring through the halls, as this young team gets into their own adventures. Hm, maybe that’s a little too The CW. Funny, cause Nina Dobrev is a solid choice for X-23. Which Character Would You Like To See Get A Series?